— Earth's first artificial satellite, launched 60 years ago next month, journeyed only a short distance into space, but its legacy now reaches out to the farthest ends of our traditional solar system. 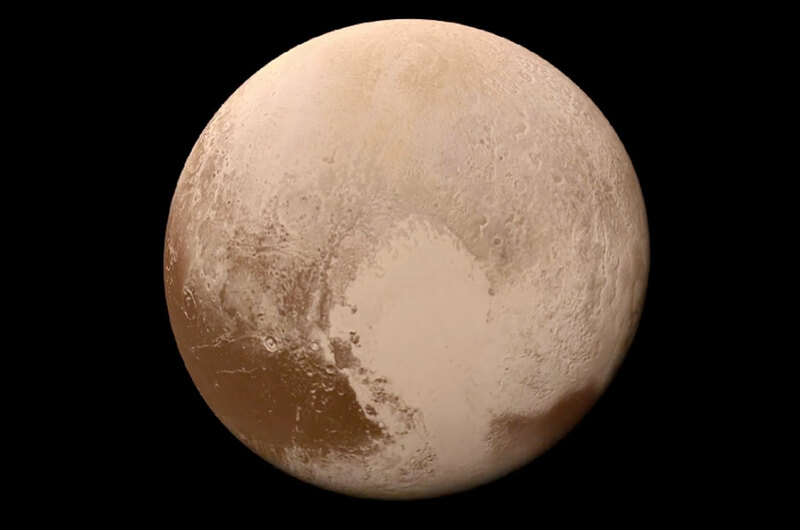 A large plain on the surface of the dwarf planet Pluto has been officially given the name "Sputnik Planitia," after the former Soviet Union's Sputnik satellite launched on Oct. 4, 1957. The small (23 inch or 58 centimeter) polished metal sphere circled Earth in an elliptical orbit that at its farthest extended 590 miles (950 kilometers) above the planet. 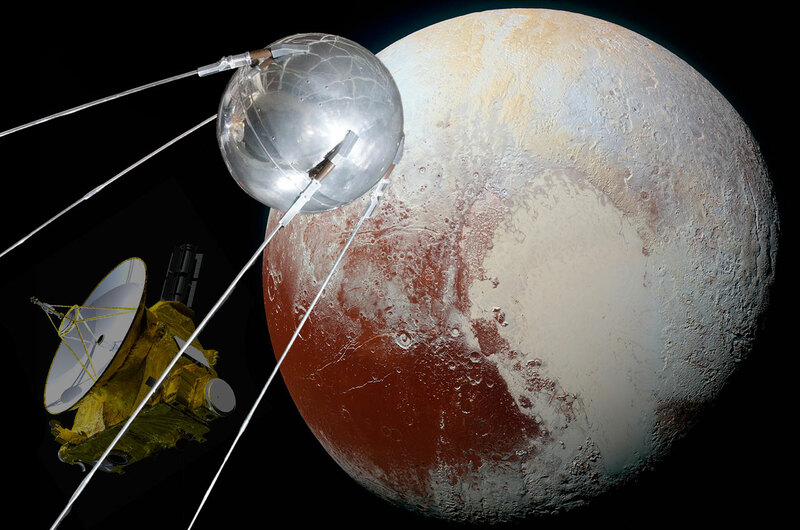 The Sputnik plain was first seen by NASA's New Horizons, which became the historic first spacecraft to fly by Pluto in July 2015. 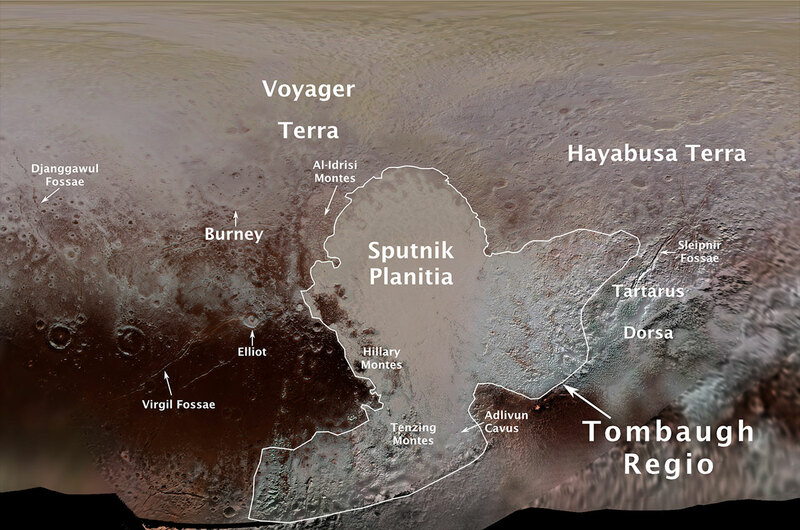 Sputnik Planitia is among the first official Pluto feature names approved by the International Astronomical Union (IAU), the world governing body for naming celestial locations. "The designations honor many people and space missions who paved the way for the historic exploration of Pluto and the Kuiper Belt," said Alan Stern, New Horizons' principal investigator from the Southwest Research Institute. 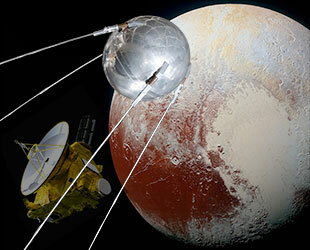 In addition to honoring Sputnik, the IAU's first 14 approved Pluto place names include "Hayabusa Terra," named after Japan's Hayabusa mission that achieved the first asteroid sample return in 2010, and "Voyager Terra," honoring the pair of probes NASA launched 40 years ago to explore the outer solar system. Voyager 1 became the first spacecraft to enter interstellar space in 2012. Voyager 2 was the first and only spacecraft to date to fly by the planets Uranus and Neptune. The New Horizons science team had been using Sputnik Planitia and the Hayabusa and Voyager terras to informally describe the regions that the mission discovered during its close-up look at Pluto's surface. The team gathered many naming ideas through "Our Pluto," an online campaign in 2015. "These names highlight the importance of pushing to the frontiers of discovery," said Rita Schulz, chair of the IAU's Working Group for Planetary System Nomenclature. 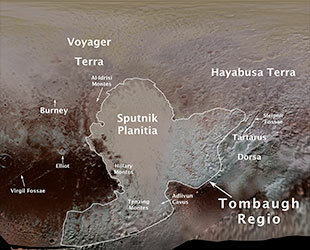 "We appreciate the contribution of the general public in the form of their naming suggestions and the New Horizons team for proposing these names to us." In addition to honoring spacecraft, the IAU also approved surface feature titles that pay homage to historic pioneers who crossed new horizons in exploration; engineers and scientists associated with Pluto and the Kuiper Belt; and underworld mythology. "Burney crater" on Pluto is now officially named for Venetia Burney, the British schoolgirl who suggested naming Pluto after the Roman god of the underworld. Other underworld-themed approved feature names include "Djanggawul Fossae," a network of depressions named for the ancestral siblings in indigenous Australian mythology; "Sleipnir Fossa," named for the Norse eight-legged horse; "Virgil Fossae," honoring Virgil, a Roman poet and Dante's fictional guide in the Divine Comedy; "Adlivun Cavus," for the underworld in Inuit mythology; and "Tartarus Dorsa," a ridge named after Tartarus, the deepest, darkest pit of the underworld in Greek mythology. The newly-named "Elliot crater" recognizes James Elliot, a researcher who led the use of stellar occultations to study the solar system. His work at MIT resulted in discoveries such as Uranus' rings and the first detection of Pluto's thin atmosphere. "Al-Idrisi Montes" honors the 12th-century Arab mapmaker Ash-Sharif al-Idrisi, whose work of medieval geography is sometimes translated as "The Pleasure of Him Who Longs to Cross the Horizons." And "Tenzing Montes" and "Hillary Montes" are mountain ranges honoring Tenzing Norgay and Sir Edmund Hillary, the Indian/Nepali Sherpa and New Zealand mountaineer who were first to summit Mount Everest and return safely. 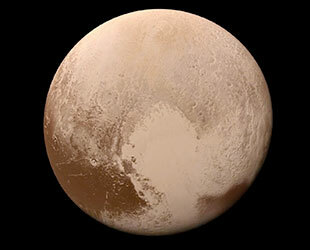 The 14th named feature is perhaps Pluto's most famous, based on the New Horizons observations. The dwarf planet's "heart," a heart-shaped region, is now officially "Tombaugh Regio," named after the late American astronomer Clyde Tombaugh, who discovered Pluto. NASA's New Horizons spacecraft is now speeding toward its next flyby, one with the Kuiper Belt object 2014 MU69, a billion miles (1.5 billion kilometers) beyond Pluto, on Jan. 1, 2019.